Michael J Fox once said, “Family is not an important thing. It’s everything.” And in Telltale’s The Walking Dead: A New Frontier, that rings true throughout. 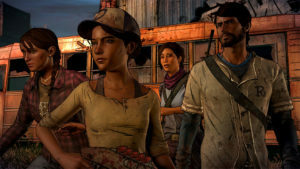 When Season Two finished, it left many players feeling uneasy, as it seemed to have lost some of itself, and while still a great title, it didn’t live up to its predecessor, the original game. 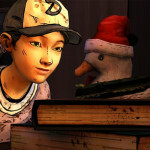 While the newest season might not be as good as the First Season, it stands its ground as a step in the right direction. The newest season begins by introducing us to a new main character. 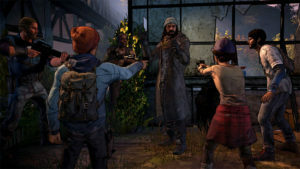 Javier Garcia, and his family at the start of the apocalypse. From that point forward you will jump back and forth in time; trying to survive with your family in the present and learning about Javi and his life before the dead began to walk. Should we even bother to learn the new people’s names? Javi makes for a likable and relatable player character, and you will be able to mold his choices in the game to your liking. Alongside Javi is also his sister-in-law Kate, his niece Mariana, his nephew Gabe, and few others like his brother, a sharp medic, and gruff leader named David, Eleanor. 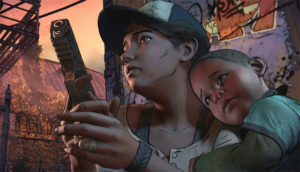 However, it’s not all new faces, as longtime character and fan favorite Clementine returns not only as an ally, but as a character to control during flashbacks. 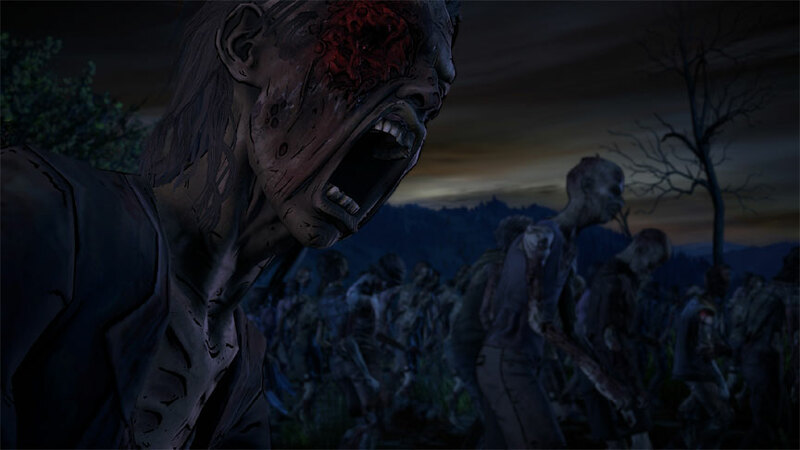 Don’t walk, run over to Amazon to pick up a copy of The Walking Dead: A New Frontier! A New Frontier also introduces us to a new group of bad guys known as The New Frontier and their city of Richmond. Almost all of the new characters are interesting and well written; they fit into the world and are mostly believable. 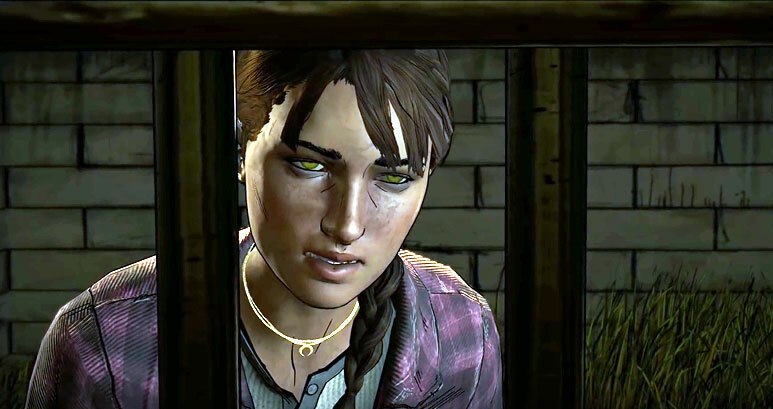 Though there are a few characters that deserve more screen time than they receive unfortunately. That being said, most feel properly represented and the cameo from a certain TV fan favorite is greatly appreciated. 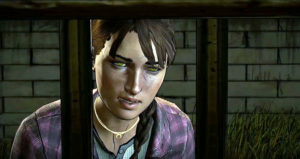 The performance from the voice actors also helps to flesh out each character making them feel alive and believable. A few performances of note include but are not limited to: Jeff Schine, Melissa Hutchinson, Alex Hernandex, and Shelly Shenoy as Javi, Clementine, David, and Kate respectively. However most of the actors provide fitting and exceptional performances throughout which all help to solidify the characters further. The story as a whole is best described as a slightly confused roller coaster; it starts off fast, slows down in the middle, picks up again, then finally finishes calmly. It is an odd pace that unfortunately hampers enjoyment during the mid-episodes as it begins to feel inconsequential and sometimes even boring. However, the quality of the story, especially when it picks up, makes up for most of those issues. 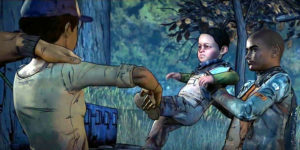 A New Frontier does a balancing act of moving you forward and backwards in time showing Javi’s life before the outbreak, Clem before meeting Javi, and the current events. This interwoven story plays out well as the themes and effects of the events flow together creating a well-drawn cohesive narrative. The story focuses on themes of family, hope, and human nature. It asks questions that make the player think whether it be if we are simply stuck in our ways or what the truest value of family is, they will resonate with the player make the journey one of growth and understanding. I’m Paul Monroe, but you can call me Jesus! The story told across the five episodes is filled with fear, hope, anger, joy, romance (if you so choose), and, of course, death a whole lot of death. I would also be remiss to not mention a particularly stellar moment with Clementine and Javi in the final episode that will have long times fans smiling through and through. While the journey is truly the part of the story we seem to care about most the ending of it can often be just as important. Without spoiling anything, the ending of this season does compare to the previous two, however it does leave us with a simple promise; the journey will continue. 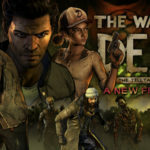 One of the most interesting changes to A New Frontier is the drive towards a more cinematic experience in gameplay and style. One of the most notable changes from the previous two games and other titles is the noticeable lack of exploring portions in the game, especially ones that actually offer more than simple math puzzles. 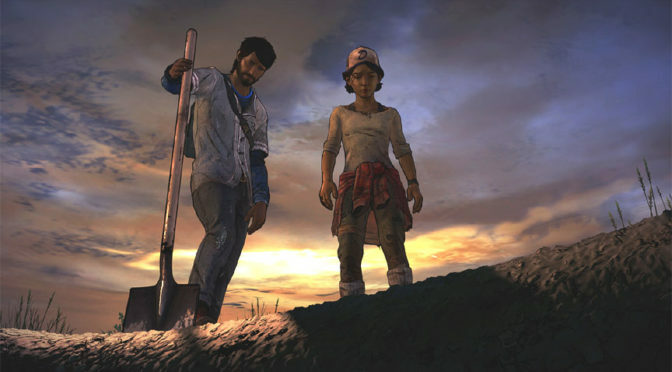 While I can’t say that I was begging for them to return, the lack of these moments to catch your breath and take inventory make the game feel a lot less like a game and a lot more like an actual TV episode. While not a major flaw I do feel the loss of moments where you could stumble upon something to steal or not steal is quite unfortunate. One benefit however, is the style of the game. To put simply: this is the best looking and sounding game Telltale has released. The art is more detailed, that animation (while still wonky at times) is better than before, and the shot placement is much better. It truly helps each episode feel like an actual episode of TV. 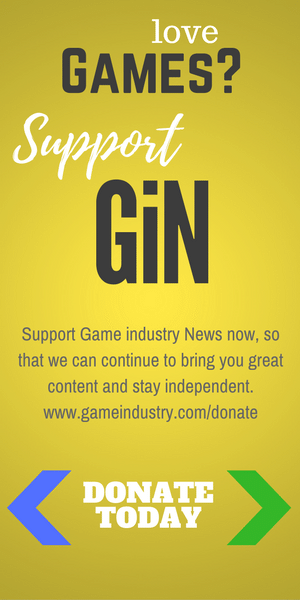 It should still be noted however that glitches still occur and it isn’t too uncommon to have a character speaking with their eyes ninety percent closed or something of the sort. 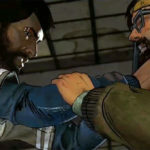 While this isn’t a new problem for Telltale, it’s still one that should be fixed. Yes, the walkers are still out there. Always out there. It’s said the hardest game to make in a series is the third one, and Telltale takes this challenge on with determination as they submit another great entry on their belt. The Walking Dead: A New Frontier while not perfect and poorly paced provides an excellent story with a fresh set of interesting well-made characters. The story is resonant and focuses on them that will have your mind churning. 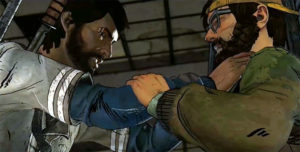 While a little more light-hearted tonally, Season Three holds its own as a member of The Walking Dead family. 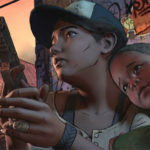 If you were a fan of the previous two seasons or are simply wondering if the third season is worth the dive, The Walking Dead: A New Frontier may be one worth exploring.